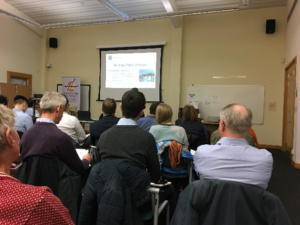 Following the IHBC South East Branch’s 2019 Day School in Woking on 1 March, lead organiser of the School and Branch committee member Chris Reynolds has written a summary report on the day, including a brief look forward to the Branch’s hosting of the IHBC 2020 Annual School in Brighton in June next year. Sanne Roberts, Vice Chair of the South East Branch and co-organiser said: ‘It was great to welcome delegates to Surrey History Centre in Woking for our Day School and IHBC SE AGM. We had an excellent line up of speakers followed by some fascinating tours, as described further in our write up by Surrey Rep and Events Officer Chris Reynolds’. 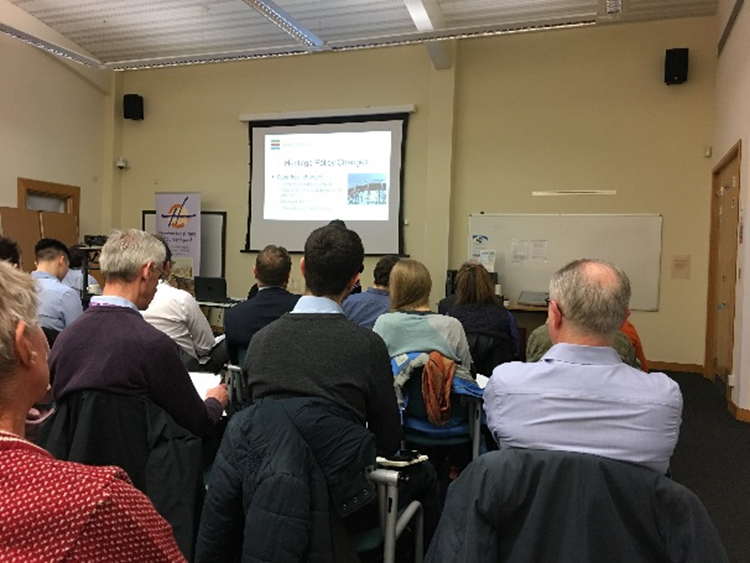 Following the publication of revisions to the National Planning Policy Framework (NPPF), this year’s IHBC South East Day School focused on putting policy into practice, and was hosted at the Surrey History Centre in Woking. We were delighted to have a range of speakers including Victoria Thomson, Head of Planning at Historic England. Victoria provided the Branch with a planning policy update which included a look at the 2018 (and 2019) NPPF. She noted that while on the surface it appeared little had changed for the historic environment, changes outside chapter 16 could be perceived to have a significant impact. It is heartening that the Government’s consultation responses clearly identifies that the changes do not affect the weight that should be given to heritage. Planning system resources from Historic England can be found at here. Victoria encouraged as all to read the NPPF in totality – not something many of us confess to have done! The Day School also heard from Rob Lloyd-Sweet, Historic Places Advisor for South East England, who discussed trends and heritage tools for managing the high street. Rob highlighted the increase in businesses operating out of listed buildings and the links between this and experiential retail where heritage makes an important contribution. Much of Rob’s presentation is directly relevant to the emerging theme for the IHBC Annual School 2020 which will take place in Brighton from 18 to 20 June. Keep an eye out for more details at Nottingham 2019 and through future NewsBlogs. The application of policy to the historic environment was a key theme of the Day School and a number of presentations looked at how this has been carried out in Surrey. Rebecca Lambert from Historic England talked about the challenges of protecting Brooklands Race Track, the first motor racing venue in the world, which is both a Scheduled Ancient Monument and a conservation area. Benjamin Parker from the Heritage Trust Network discussed resources available for Building Preservation Trusts to enable them to meet their objectives, including a toolkit which is available to members. 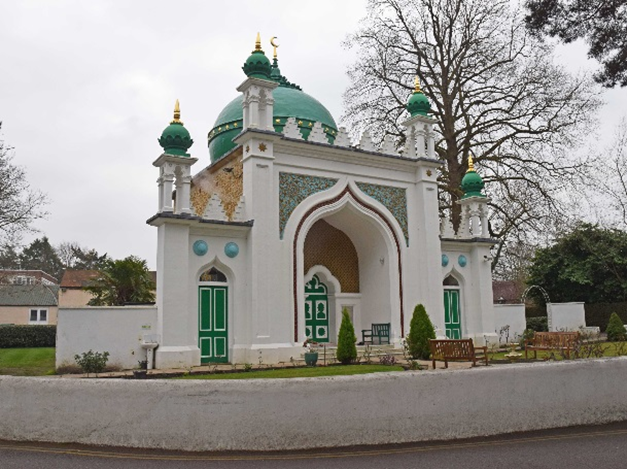 From Woking Borough Council we were joined by Dr Zafar Iqbal who talked about his efforts to restore the Grade II listed Muslim Burial Ground and how this related to the council’s core policies. 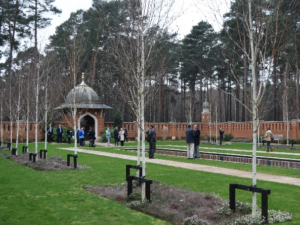 In the afternoon Zafar took delegates on a tour of the burial ground showing some of the improvements, including the removal of overhead power lines by the National Grid at the cost of £250k. In addition to visiting the Muslim Burial Ground, the South East Branch were also fortunate to visit the Shah Jahan Mosque in Woking. 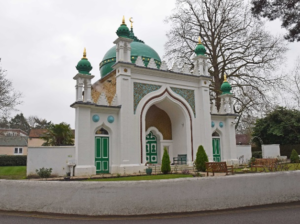 Built in 1889 by Gottlieb Wilhelm Leitner, the building is the oldest purpose built mosque in Western Europe and was upgraded to Grade I in March last year. The visit offered delegates a fascinating opportunity to learn about Muslim culture and how mosques are designed and function. 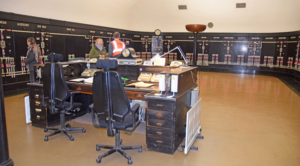 The final visit of the day was to the Grade II listed Railway Electrical Control Room where we were kindly hosted by Network Rail. 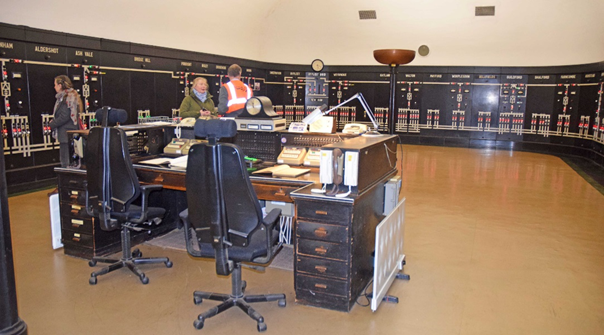 Built in 1936 by Swedish first Asean, the function of the building was to control electrical power to railway lines across the Southern network. While the exterior of the building is of a standard design, the interior was influenced by International Modern principles and is particularly impressive. The South East Branch are very grateful to all the speakers and hosts who made the day possible.